Invisible braces are the type of braces in the recent times which are in great demand due to their highly aesthetic features which tend to attract the orthodontic patients to a great extent. 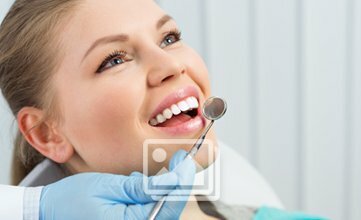 The invisible braces Chennai have now developed to a great range and therefore orthodontists are mastering in these techniques in order to ensure better treatment experiences for the patients who come for the braces treatments. The invisible braces grant huge confidence to the patients undergoing the braces treatment without compromising on the quality of the treatments. One must understand that the invisible braces require proper skills and art to get placed in the patients mouth. Invisalign is one of the most popular types of the braces which are in great demand nowadays. The placement of the invisalign requires less time and the maintenance is quite skilful which can be learned easily by every patient under the proper guidance of the orthodontist. This ensures that the patients can be satisfied during as well as after the treatment. There is no shyness within the patient during the treatment unlike the traditional metal braces which make the patients much conscious of the smiles. In case of invisalign, customized series of aligners are created for the patient to ensure that the teeth can be treated in the particular direction in which the orthodontist has planned. The best part is that there are no brackets, arch wires or bands in this treatment. The aligners are provided to the patient and after every two weeks the patient is given a new set of aligners to guide the movement of the teeth in the particular direction. 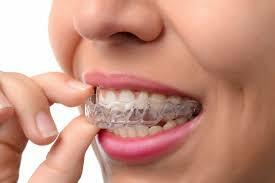 The orthodontist provides a set of instructions in the section of diet and maintaining the aligners. In this way, invisible braces Chennaiare of great benefit for the patients who want to stay relaxed in their orthodontic treatments.